Hear the call of Worship and gather in His name. Sunday School for All Ages. 9:15 am in Grace Hall. Worship for Everyone. 10:30 a.m in Sancturary. We hope and pray that you will find the ministries at Immanuel to be a comfortable and friendly place to worship God. It is our hope that you will find a ministry at Immanuel through which you can use your talents and through which you can grow spiritually. 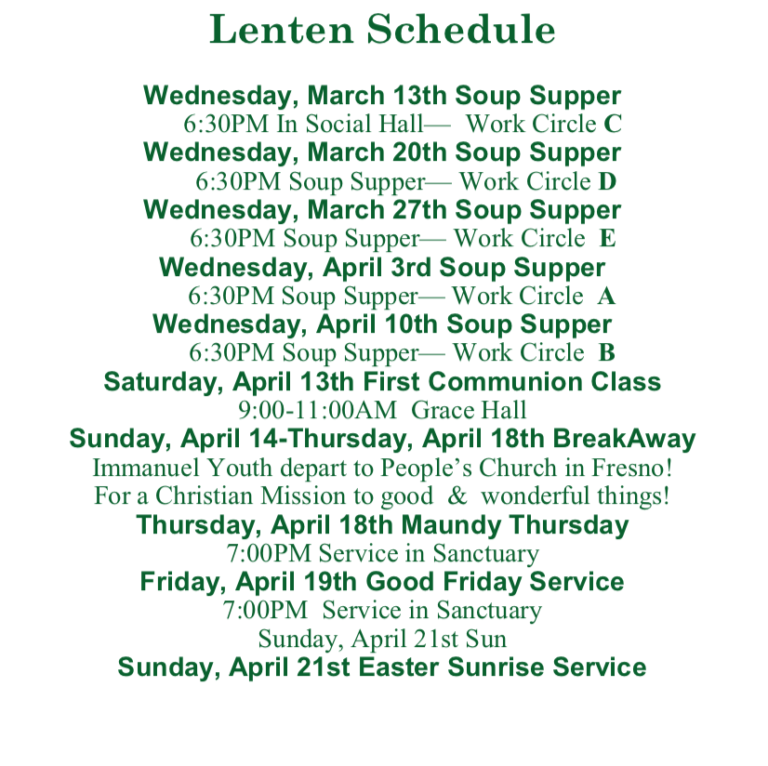 Please come and worship with us and enjoy our Christian fellowship. 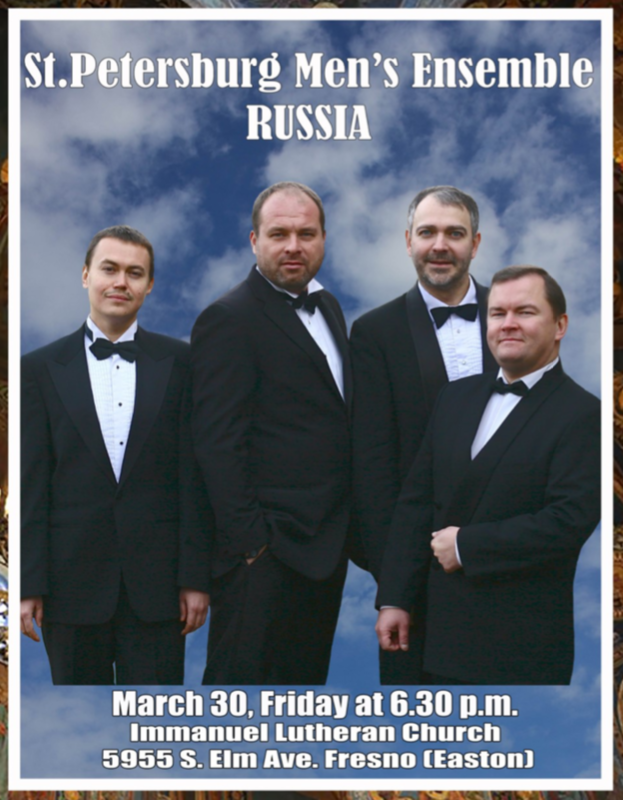 You won’t want to miss the Saint Petersburg Men’s Ensemble in concert, here at Immanuel March 30 at 6:30 p.m. This is a return engagement as this group of professional singers from Russia blessed us at Immanuel last year with their powerful and inspirational acappella music.